"He's excellent: responsive, down-to-earth and makes himself available." "He is very precise when drafting and articulating points for us, and is a real pleasure to work with." Stephen Midwinter QC advises on and appears in a broad range of commercial disputes, in litigation and arbitration. He has appeared in cases in the Supreme Court, the House of Lords, the Privy Council, the Court of Appeal, the Commercial Court, the Chancery Division and in the high court and county courts throughout the country. He has been recommended as a leading silk by the directories in seven fields: commercial dispute resolution, insurance and reinsurance, banking, international arbitration, energy and natural resources, civil fraud and professional negligence, and was 'Insurance Junior of the Year' at the Chambers Bar Awards 2011. In 2016 he was nominated by Chambers & Partners as Insurance Law Junior of the Year. A significant proportion of Stephen's work takes place in arbitration and he has appeared in and advised on arbitrations under the ICC, LCIA, ARIAS, UNCITRAL, ICSID and Stockholm Chamber of Commerce rules, as well as ad hoc arbitrations pursuant to the Arbitration Act 1996 and under the Bermuda Form. Stephen is a member of the bar of the British Virgin Islands where he has appeared in a number of jurisdiction disputes and in a wide range of commercial disputes, including international fraud claims and insolvency disputes. Stephen has written several articles on commercial law subjects, and writes and lectures on banking, insurance and European law and on commercial conflict of laws topics including the Brussels Regulation and the Rome I and II Regulations. Stephen has advised on and appeared, led and unled, in a wide range of commercial disputes, in arbitration, in the Commercial Court and in county courts throughout the South-East and beyond. He is currently engaged in cases ranging from a US$16bn energy dispute and a $1.5bn credit crunch fraud claim to a £1m property damage action. Recent cases include Alfa Petroleum v BP International Ltd (2011, Com Ct), Telenor East Holdings v Altimo Holdings (2011, Com Ct), Russian Commercial Bank v Khoroshilov (2010, Com Ct) and NTCS v AG Jamaica (2009, Privy Council). Stephen has also acted in numerous disputes in the BVI including Transworld v Bluzwed (2005) (BVI), Sibir Energy v Sibneft (2006) (BVI) and Yukos CIS v Yukos Hydrocarbons (2010) (BVI). He was selected as one of Legal Week's commercial litigation "Stars of the Bar 2010". Stephen's practice covers the full range of insurance and reinsurance disputes. Leading cases include Lexington Insurance v WASA and AGF Insurance  UKHL 40, Cavell v Seaton Insurance  EWCA Civ 1363, Markel v Higgins  EWCA Civ 790, Markel v Surety Guarantee Consultants  EWHC 1135 (Comm) and Korea National Insurance v Allianz  EWHC 174 (Comm) and  EWCA Civ 1066. He also regularly appears in insurance and reinsurance arbitrations under LCIA, ICC, UNCITRAL, ARIAS and Bermuda rules. Recent arbitrations include a $70m war risks claim, a $50m construction DSU dispute, a $50m Cat XL dispute in Bermuda, a $1m aviation coverage dispute and a £10m PA reinsurance coverage dispute. Stephen's banking practice includes several cases arising out of the global financial crisis including Perpetual Trustee v Bank of New York  UKSC 38 and Satinland v BNP Paribas  EWHC 3062 (Ch). He is currently involved in the $1.5bn CDO dispute FGIC v IKB as well as the $150m CDO claim between UBS and the German water company KWL. 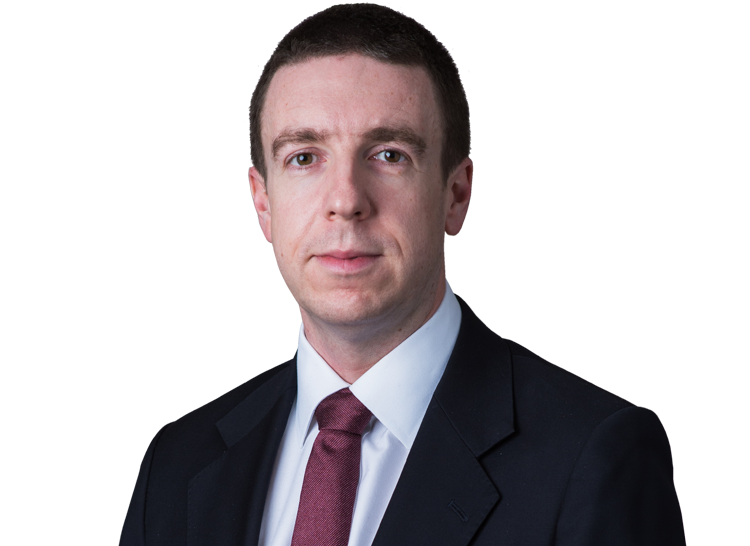 Stephen has advised in numerous cases involving ISDA and similar agreements including market standard form forward freight agreements and commodities trading agreements. As well as appearing in commercial and insurance and reinsurance disputes that happen to be taking place in arbitration, Stephen regularly advises on technical and procedural aspects of arbitration law. Recent cases include a dispute as to the applicability of an arbitration clause to a reinsurance dispute, and a claim to set aside a €70m arbitration award on the grounds of fraud. Stephen has appeared and advised in numerous professional negligence claims in the Chancery Division and Commercial Court including LRI v Lawrence Graham (which settled before judgment), Convergence v Chantrey Vellacott, Stone & Rolls v Moore Stephens, Pollux v Chase Manhattan and NatWest v Weil Gotshal. He has advised on cases involving negligence by insurance brokers, solicitors, accountants and bankers. A former teacher of European law, Stephen has advised and acted in a number of European and human rights law disputes including Northern Foods v DEFRA (the Melton Mowbray pork pies case) and Yukos v Russian Federation, a $98bn claim in the ECHR. Selected as one of Legal Week's 'Stars at the Bar' 2010. Subrogation Finds some Well-Settled Principles  L.M.C.L.Q. Non-disclosure and Material Rumours  L.M.C.L.Q. Review of Anson's Law of Contract, 28th Edition , L.M.C.L.Q. Ranked in Arbitration (International), Dispute Resolution and Energy and Natural Resources in Chambers Global 2016. When is a mistaken belief sufficient to render a contract void?